Below is a list of articles and documents related to Values of Play, which covers such topics as: design methodology, design methodologies, critical play, human centered design, game design, values in games, ethics in games, game mechanics, meaningful play. Belman, J., Flanagan M., and Nissenbaum, H. (2009). Instructional Methods and Curricula for Values Conscious Design. Loading: The Official Journal of the Canadian Games Studies Association, 3(4). 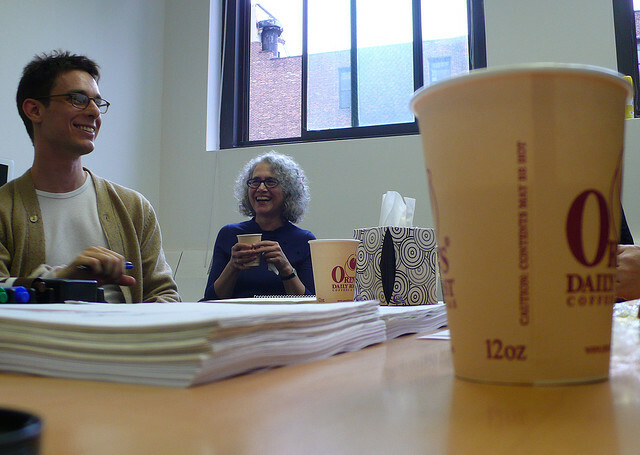 Mary Flanagan, and Helen Nissenbaum. “A Game Design Methodology to Incorporate Activist Themes.” Proceedings of the CHI 2007 conference, 28 April – May 3, San Jose, California. M. Flanagan, D. Howe, and H. Nissenbaum, Values in Design: Theory and Practice (pdf). In Information Technology and Moral Philosophy, Jeroen van den Hoven and John Weckert (eds.) Cambridge: Cambridge University Press, forthcoming. Mary Flanagan, Daniel C. Howe, Helen Nissenbaum. “New Design Methods for Activist Gaming” Proceedings from DiGRA 2005, 16-20 June, Vancouver, BC, Canada. Mary Flanagan, “Troubling ‘Games for Girls’: Notes from the Edge of Game Design.” Proceedings from DiGRA 2005, 16-20 June, Vancouver, BC, Canada. Mary Flanagan, Daniel C. Howe, Helen Nissenbaum. “Values at Play: Design Tradeoffs in Socially-Oriented Game Design” Proceedings of the CHI 2005 conference on Human factors in computing systems. CHI 2005, 2-7 April, Portland, Oregon. New York: ACM Press. M. Flanagan, “Next Level: Women’s Digital Activism through Gaming.” Digital Media Revisited. Edited by Andrew Morrison, Gunnar Liestøl & Terje Rasmussen. Cambridge: MIT Press, 2003, 359 – 388. M. Flanagan, “Developing Virtual Performance Spaces.” American Puppetry. Ed. Phyllis T. Dircks. New York: Theatre Library Association, 2004. M. Flanagan, “Hyperbodies, Hyperknowledge: Women in Games, Women in Cyberpunk, and Strategies of Resistance.” reload: rethinking women + cyberculture . Cambridge: MIT Press, 2002, 425-454. M. Flanagan, “navigable narratives: gender +narrative spatiality in virtual worlds.” Art Journal. Vol 59 no. 3, Fall 2000, 74 – 85. M. Flanagan, “Response to Celia Pearce: About Computer Gaming.” First Person. Ed. Noah Wardrip-Fruin and Pat Harrigan. Cambridge: MIT Press. (2003). M. Flanagan, “Mobile Identities, Digital Stars, & Post-Cinematic Selves.” Wide Angle: Issue on Digitality & the Memory of Cinema. 21:3, 1999. A. Barth, A. Datta, J.C. Mitchell, and H. Nissenbaum, Privacy and Contextual Integrity: Framework and Applications (pdf). Proceedings of the IEEE Symposium on Security and Privacy, May 2006. Y. Benkler and H. Nissenbaum, Commons-Based Peer Production and Virtue (MS Word). The Journal of Political Philosophy, forthcoming 2006. H. Nissenbaum, Privacy as Contextual Integrity (pdf). Washington Law Review, v79 #1, February 04, 2004. 119-158. H. Nissenbaum, Will Security Enhance Trust Online, or Supplant It? (pdf) In P. Kramer and K. Cook (eds.) Trust and Distrust Within Organizations: Emerging Perspectives, Enduring Questions, Russell Sage Publications, 2004. 155-188. H. Nissenbaum, New Research Norms for a New Medium (pdf) In The Commodification of Information. N. Elkin-Koren and N. Netanel (editors) The Hague: Kluwer Academic Press, 2002. 433-457. L. Introna and H. Nissenbaum. Shaping the Web: Why the Politics of Search Engines Matters (pdf). The Information Society, 16(3):1-17, 2000. B. Friedman and H. Nissenbaum, “Bias in Computer Systems” (pdf) ACM Transactions on Information Systems July 1996. 330-347.